Home » Metal Master Blog » New Year, New Roof! How about Metal Roofing? For years we have been saying that metal roofing is the most reliable roofing system available. Metal is not just something we sell, it is something we believe in 100%. Now, we can claim one thing time and time again, however it takes on a different tone when it is actually put to the test. 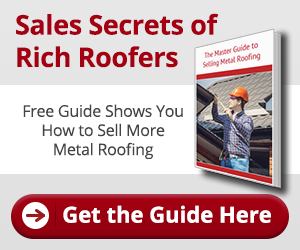 Metal Roofing pass the test? Truth of the matter is there are many tests performed on metal roofing systems in order to get them approved. We know they are strong, but just how strong? You can now judge for yourself. Through an unfortunate disaster, nature has put metal roofing through the ultimate test, and we can firmly say: “it passed”. Irma, the last hurricane to strike South Florida, left a trail of devastation behind. The Florida Keys experienced the furry of a storm that destroyed many properties people had worked years to buy and maintain. But among all the talk of destruction and loss, we do hear some expressions of relief from many residents whose homes had metal roofs installed. Metal roofs out performed other popular roofing systems. “Metal roofs are the bomb,” said Monroe County Assistant Administrator Christine Hurley…Barrel tiles are the next strongest type of roof and shingles are last.” This is according to WLRN’s The Sunshine Economy, by Tom Hudson, on September 25, 2017. A new year usually means new goals and resolutions. If you are planning on getting a new roof in 2018, make sure you consider the best option for you and your family. If you have a residential or commercial property, you work hard for it, and you surely want the best. Call Metal Master Shop today for a quote. We also have a dedicated exporting team ready to help you with any export orders. CALL METAL MASTER SHOP NOW 3O5.261.9290.